1stGen.org • View topic - Something to hang in the shop maybe? Was bored the other day so I cut this on my Plasma table. It measures 15"x15" and is .1345" thick. I thought you guys might get a kick out of it. 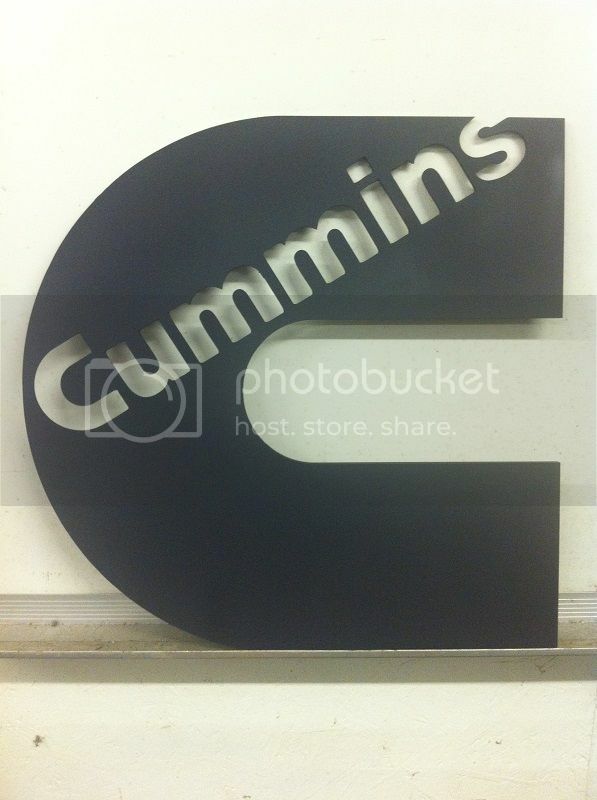 Re: Something to hang in the shop maybe? That's cool now put some lights behind it. That's pretty nice! A coat of blue paint on it and put it up! bgilbert wrote: I'll take one lol. bgilbert, please PM me and I will get you payment details. For anyone else interested, these are $25 plus shipping and will fit in a Regional Rate B box from USPS. PToombs wrote: Where are you located? That place doesn't sound very exciting. The name says it all... My plasma table is about the most exciting thing in the town. how much is shipping to send them up to idaho? RCCUMMINS89 wrote: how much is shipping to send them up to idaho? It was $9 to Indiana, so I am guessing shipping to Idaho will be around $10-11.